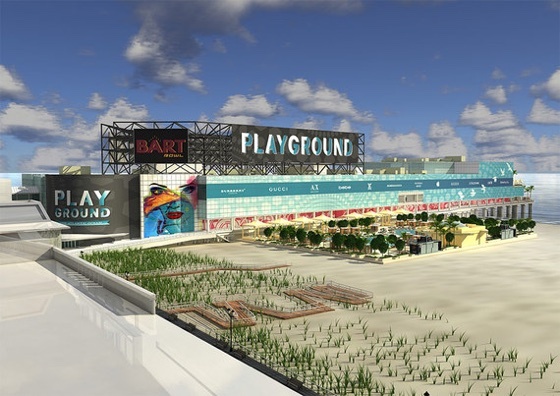 The Playground (previously the Pier Shops at Caesars) in Atlantic City has three levels of stores and restaurants. The pier extends 800 feet out over the Atlantic Ocean and provides spectacular views. The pier is directly across from the Caesars casino and connected by a walkway that spans the boardwalk, however, it is not managed or owned by Caesars. In 2011 The Pier at Caesars was sold at auction. The new owner is Bart Blatstein, a Philadelphia developer. The Pier Shops at Caesars has been rebranded "The Playground" after a $50 million makeover to bring in themed clubs, bars and a concert venue. 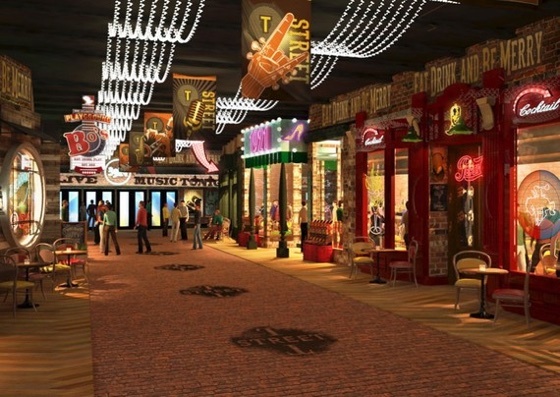 T - Street - an urban streetscape lined with bars and live entertainment intended to resemble Music Row in Nashville - opened at The Playground in July 2015. As of 2014, the Pier Shops had about 40 shops and restaurants. Many of the stores and restaurants continue to operate at The Playground, however some may have closed and new ones opened..
One Atlantic is an upscale banquet hall and wedding chapel located on the top floor of the pier. It provides great views of the ocean.